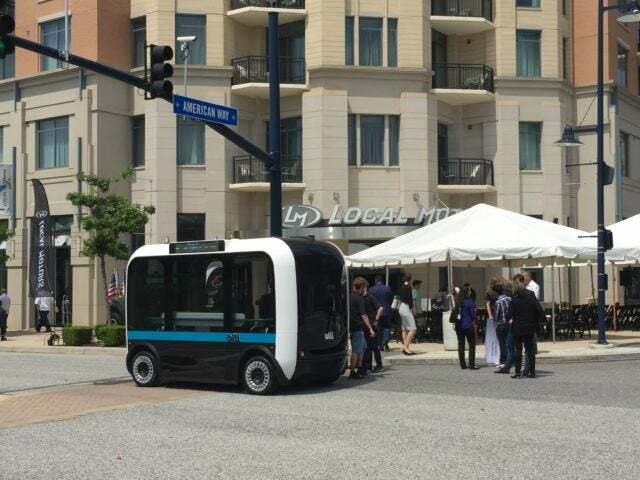 Today, in National Harbor on the Maryland shore of the Potomac River just south of the Nation’s Capital city, Local Motors held a press conference to open their latest facility and launched the first self-driving car called Olli. 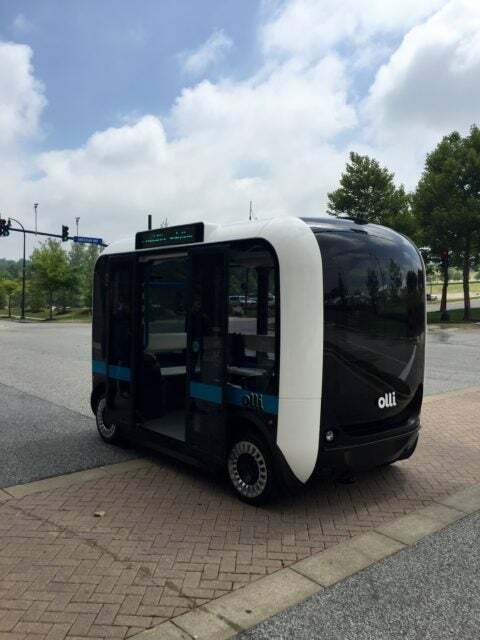 Olli is the first autonomous vehicle to be put to use for the public and will essentially be a people-mover that connects to IBM’s Watson Internet of Things technology. Olli was the co-creation of Local Motors and their co-creation community that led vehicle designer Edgar Sarmiento to help bring this vehicle to life. The electric vehicle can carry up to 12 people and is equipped with some of the world’s most advanced vehicle technology, including IBM Watson Internet of Things (IoT) for Automotive, to improve the passenger experience and enable natural interaction with the vehicle. 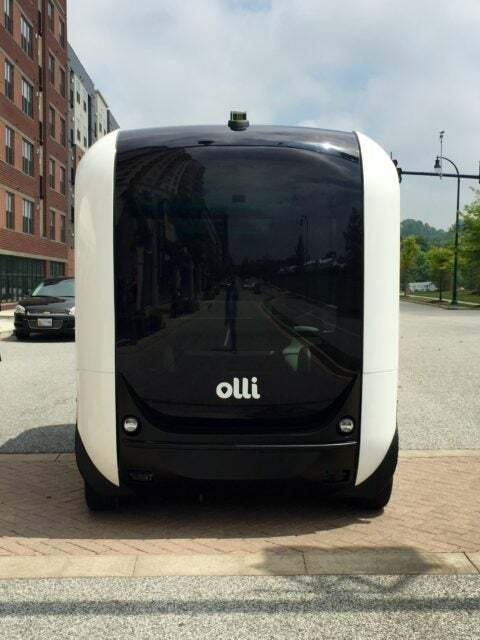 Starting today, Olli will be used on public roads locally in DC, and soon will be roaming the streets of Miami-Dade County and Las Vegas later this year. This is a significant milestone for Local Motors and the self-driving car world as it appears they’ve beaten larger players like Apple, Google, and larger motor companies like Ford or GM, to market with a vehicle that is actually moving people (outside of just beta testers) – a pretty amazing feat. We’ve reported previously about Uber doing testing of its own fleet of self-driving cars but those seem to be small beta tests and not an open to the public transportation option. Jay Rogers, who we interviewed last year our Celebrate conference lead the launch press conference with a number of partners and we captured some if it in this video (below). IBM’s Watson technology played a key role in this vehicle as it enabled Olli to be the first vehicle to analyze and learn from high volumes of transportation data, produced by more than 30 sensors embedded throughout the vehicle. The vehicle leverages Watson developer APIs for Speech to Text, Natural Language Classifier, Entity Extraction and Text to Speech to enable seamless interactions between the vehicle and passengers. Thus passengers can interact with Olli when you take a ride from point A to point B. Though it is only day one for Olli, the goal would most likely be to replace some of the current public transit options cities have to offer. National Harbor represents just one of 100 micro-factory facilities Local Motors wants to install around the world. Their current locations include Knoxville, Phoenix and Berlin. Watch the video below of my interview with Local Motors CEO and founder Jay Rogers and IBM Watson IoT vice-president Bret Greenstein. Aside from the launch of Olli, Local Motors also cut the ribbon on their latest facility in National Harbor in Maryland today to serve as a public place where co-creation can flourish and vehicle technologies can rapidly advance. The company has 3D-printed cars on display, along with a large-scale 3D printer that prints cars and other parts. An interactive co-creative experience that will offer STEM-centered programming is also being developed for the facility so that the public can learn more about 3D printing, sustainability, autonomous technology and get involved with Local Motors engineers and the company’s co-creation community. Watch the video tour of the new National Harbor facility, meet Olli, see a 3D car being finished and more in this video below. Finally, we captured some photos from the launch event below. 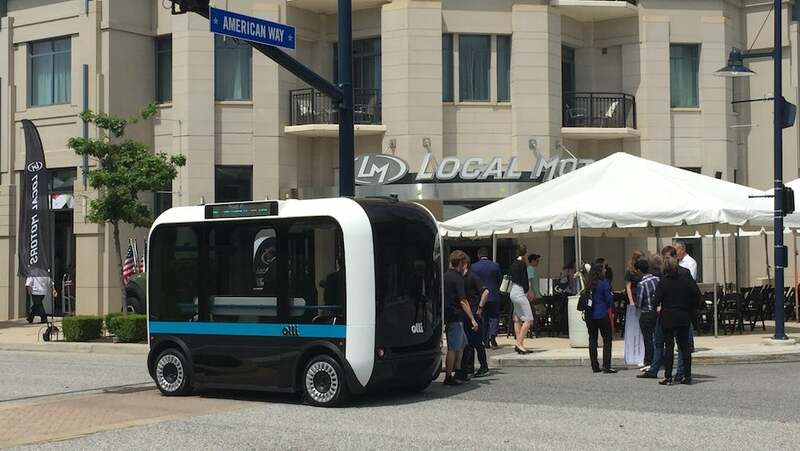 Meet Olli the new electric self-driving vehicle by Local Motors in partnership with IBM Watson IoT technology.